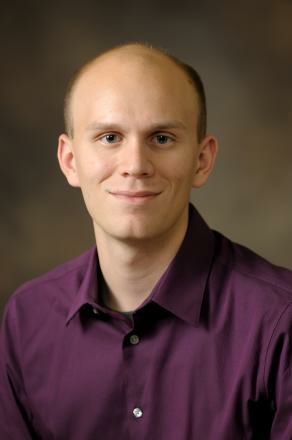 Daniel Herber, a graduate student in systems and entrepreneurial engineering, was recently selected as a Mavis Future Faculty Fellow. The Mavis Future Faculty Fellow (MF3) program is intended to prepare current graduate students for careers as engineering professors. The fellowship focuses on the aspects of research, teaching and mentoring. Herber, who also completed his bachelor’s in general engineering and master’s in systems and entrepreneurial engineering from ISE, said he has always had interest in being a faculty member and that the MF3 program is an ideal way to figure out if this is the path for him. “When I saw this program, it seemed like it’s a perfect way to not only understand if I want to be a faculty member, but be a better candidate if I do seek to apply,” he said. He likes that the program is focused on training in both research as well as teaching, two areas in which he currently has experience as a graduate student and teaching assistant. His current research is focused in the design methods of dynamic engineering systems, systems that vary through time that can be applied to several different areas. He is also an active member in the Engineering System Design Lab directed by Professor James Allison, who is also Herber’s adviser. Overall, Herber said he is excited for the opportunities that the MF3 program will provide him with. “I really feel like it will prepare me so much more than just being a graduate student,” he said. Herber is a two-time recipient of Honorable Mention in the NSF Graduate Research Fellowship Program, a nominee for for the Design Automation Committee Best Paper Award, and holds a Best Technological Innovation Award.